Christine Reber, is on a mission is to bring others rejuvenation and empowerment. Her classes offer an opportunity for a balance in physical movement/challenge, clarity of mind and nourishing of the soul. Yoga found Christine later in life after coming to the realization that she had allowed her identity to become that of only wife and mom (to three amazing kiddos) and leaving her self-identity to whither. Battling depression and filled with the knowledge she was meant to have a profound impact outside the home as well, she went back to school to update her science coursework and apply to Nursing school. That is when Yoga changed her course – she had fallen in love with her newfound practice and (yet still limited) understanding of the science and philosophy of Yoga and the healing she experienced. After being accepted to Nursing school, she decided to forgo becoming an RN and enrolled in Yoga Teacher Training instead. Initially, her 200 hour training was in Baron Baptiste-style Power Vinyasa program, but she has since swung the pendulum the other way to Yin and Restorative classes. She loves to offer these styles because she believes there is plenty of Yang in the Western world and not enough Yin, self-care and self-love! Through Yoga, Christine continues to find healing for both physical limitation and pain as well as depression and anxiety. She aims to share the healing and transformative power of yoga with as many people as possible. 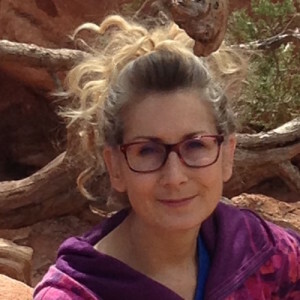 In addition to being a Yogi, Christine is a Certified Yoga Life Coach, teacher, connector, community-builder and lover of reading, writing, and connecting with nature. Although, her kids don’t like going hiking with her because she stops too often to take in the breathtaking views, snap photos of the beautiful flowers and plants, and of course to sit with and hug the trees! Her mission on the mat is to create space for students to drawing inward and to facilitate greater body awareness in her students both of which pave the way for transformation and healing. 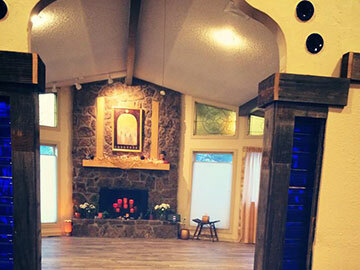 Her students leave feeling as if they’ve experienced a mini-retreat for their soul!